Last night Charlie Byrne’s Bookshop hosted the announcement of the Over The Edge New Writer Of The Year Longlist. Seventy-five poets and writers of fiction from Ireland and beyond must now wait for the decision of competition judge Elaine Feeney to find out whether they have made the shortlist. The shortlist will be announced in one week’s time, at the August Over The Edge Open Reading at the Galway City Library on Augustine Street on Thursday, August 25th at 6:30pm. Good luck to all! 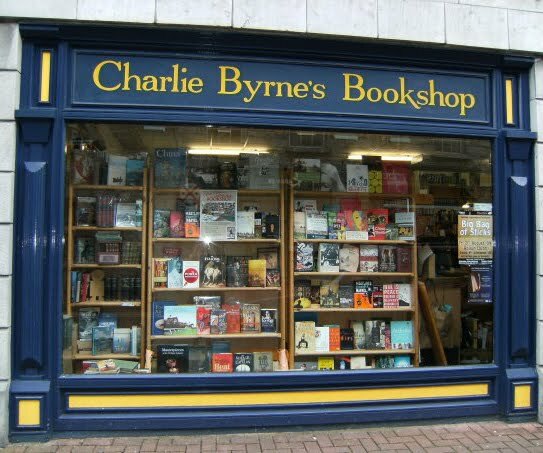 Sponsored by Charlie Byrne’s Bookshop, Niall Ó Brolcháin, Cllr. Fidelma Healy Eames, and others. Find out who made the longlist here: http://overtheedgeliteraryevents.blogspot.com.